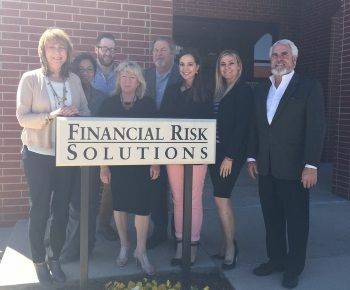 Financial Risk Solutions, with offices in Oklahoma City and Guthrie, is a professional independent insurance agency, focused on doing the right things for our clients and our community. Our goal is to assist our clients in finding solutions to client problems by recommending and implementing insurance solutions that meet the needs of each individual client. We believe that excellent service with a can-do attitude is the most important value that we offer you. We work hard to build long-term trusted relationships with our clients by delivering quality service, coverage and competitive pricing. We are dedicated to understanding the needs of our clients. Our intent is to make you feel both comfortable with and confident of our abilities. We attribute our growth to loyal clients and we are grateful for the referrals our satisfied clients give us to new accounts. We sincerely appreciate their vote of confidence. Please feel free to call our office at 405-254-5600 to speak to an insurance professional. You can also email your questions and an insurance agent will reply promptly. Financial Risk Solutions has earned its reputation as a trusted adviser by providing professional assistance in a relaxed and friendly atmosphere. We have the experience and qualifications to help protect your family and business with the insurance products you need. 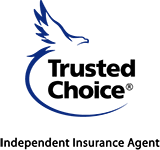 Financial Risk Solutions has affiliates that have been in business for over 80 years providing ways for you to contact us when you need us – night or day with the expertise you need; when you need it. G.G. Jackson started the Jackson Insurance Agency in downtown Oklahoma City in 1923. After 26 years in business, a young man named Claude Barton joined the company in 1949. Mr. Barton was a highly decorated World War II Navy pilot that had returned from the war, got a job with an insurance company but was now ready to get into his own business. The name was changed to Jackson & Barton Insurance Agency and maintained offices in the Mercantile Building until 1973 when urban renewal tore the building down. In 2003, Cole Richardson became the prinicpal of Jackson Barton Agency and designed and built our state of the art office building at 9658 North May in Oklahoma City. Though many things have changed with the times, like the addition of state-of-the-art office systems and a highly trained staff, there are some things that never change. Cole is a founding partner of FRS. Darbi Tomlinson, FRS-Tomlinson Insurance Agency, has an office in Guthrie where she grew-up and now raises her two children with her husband Brad. Darbi began her insurance career in the early 2000's and believes she has found her calling in life. Denise Griffin, FRS- Griffin Insurance & Associates, began her career in the late 1980's and specializes in providing insurance for the pest control industry.